What is happening? And what does it mean for tea in Darjeeling? We’ve done our best to brief you on what’s happening, why it’s happening, and what that might mean for the future of Darjeeling and the tea they produce. * See Disclaimer at bottom of article. To be very short about it: The Gorkhas, a Nepali-speaking ethnic group who form a majority of the population of the Darjeeling Hills, have reignited their call for a separate Indian state of their own, called Gorkhaland. They have instituted a general strike and conducted numerous protests to get the government to hear their pleas. Since the Gorkhas form the bulk of the tea growing, plucking, and processing workforce, all tea processing has shut down indefinitely, leading to a complete halt of the Darjeeling tea industry at the peak of the second flush harvest. Now to the bigger picture, with a little bit of context. The District of Darjeeling and the surrounding area has been a hotbed of political control and conflict for hundreds of years. Since the 1780s, the Gorkhas, or ethnically Nepali people, have fought for control of the hills that encompass Darjeeling and up to Sikkim. Once the British began their Indian expansion, they fought a war and the British won, allowing them to draw the boundaries where they pleased and control the region for over a century. Since British rule, and even before Indian independence, organized demands for a separate state of the Darjeeling hills and eventually demands for the state of Gorkhaland have been active since 1907. Additional petitions came in 1917, 1929, 1930, 1941, and in 1947 when India became independent. Since independence, more demands were made in 1952, 1980, and infamously in 1986 when the protests turned violent and resulted in over 1,200 deaths. The unrest resulted in 1988 with the formation of a special Gorkha council in the region. However, this council had very little governing control and again the demands for a separate state of Gorkhaland were raised in 2007. In 2011, another burst of protests led to replacing the council with the Gorkha Territorial Administration. In 2013, the Indian government passed a resolution to begin the formation of a new state in central India, Telangana, which officially became a state in 2014. This led to further protests and strikes on behalf of the Gorkha peoples to establish their own state. This catches us up to the present day. On May 12th of this year, the West Bengal education minister stated that all students in the Darjeeling hills should be required to learn the language of Bengali. A majority of people in the hills don’t speak Bengali, but rather Nepali, which is recognized as an official language of the region. This lit the flame that would become the current call for a separate state of Gorkhaland. What has happened since is slightly convoluted depending on whom you ask. Throughout June, protests intensified. The government shut down the internet. The police charged at protesters with batons and the army was later called in. Protesters set fire to buildings. Police claim they were shot at by protesters. Protesters have been killed. But the principle issue, that Bengalis mandate how the Gorkhas live, reignited the long-standing passions of the Gorkhas and their call for Gorkhaland. A general, indefinite strike was called for all workers in the region and there is currently talk of plans for a hunger strike which could lead to even more deaths. We’ve heard from numerous sources that this movement includes the entirety of the tea workforce, and that they are completely committed to seeing this through to the end. Many have stated that they are willing to die for their cause. It’s increasingly unclear what the eventual outcome will be, as the debate has shifted in many different directions, has been filled with wild and mostly false accusations, and has led to little, if any, direct communication about the issues between those that seek redress and those that have the ability to provide it. “Short term impact: Almost all estates in Darjeeling are facing a huge financial loss, which will worsen if the problem persists or prolongs. Darjeeling summer teas will lose out it’s market share to Assam or any similar premium teas. 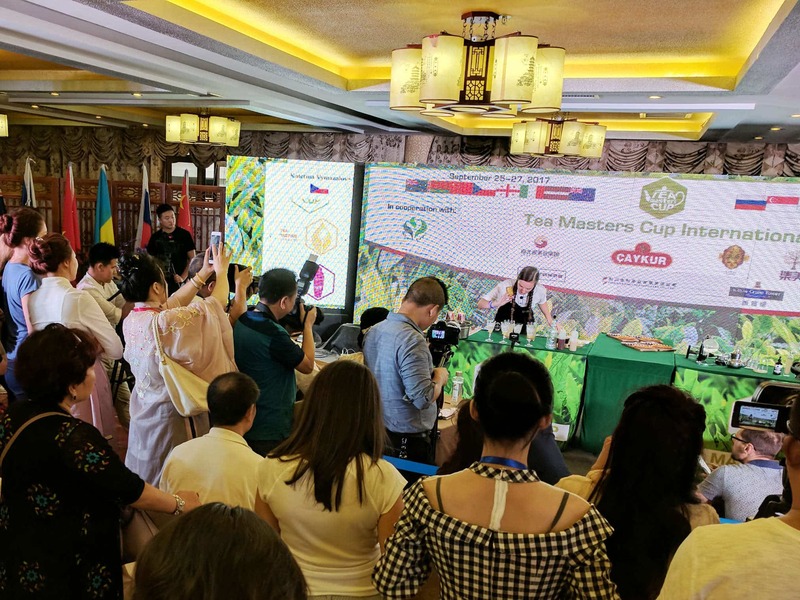 Big or growing brands will try to avoid introducing more Darjeeling due to lack of certainty and try replicating existing one with other regional teas. One thing to keep in mind in this debate: One of the biggest motivating factors of this movement is that the Gorkhas have felt and continue to feel like second-class citizens. Working conditions are routinely very poor, wages are low, and they have no say or stake in how Darjeeling’s estates are run. They are ethnically different from the vast majority of the state they live in, and it’s apparent, at least to them, that the government of West Bengal cares little about serving the region’s interests. They point to the government’s lack of care in their region, specifically the lack of resources they offer for basic services and infrastructure, and the degradation that has occurred in the area as a result. They point out that not a single recognized estate in Darjeeling is owned by a Gorkha, and very few are managed by one. The government argues that the Gorkhas have been overly violent in their protests and have accused the Gorkhas of receiving funding from communist China. Further, they claim that Darjeeling, a strategically and economically important region, could not properly be governed by the Gorkha people. The Gorkhas are seeking a state where their identity matters and their interests are addressed. And even though there are a great many that doubt their capabilities, they feel that they could make the state economically viable, through what’s been referred to as the three “T’s”: tourism, timber, and of course tea, the very industry that West Bengal and the estate-holders are likely the most nervous to lose. What impact might this governmental restructuring have on the tea industry of Darjeeling? We got in contact with a member of the Gorkhaland movement, Allan Rai, through Elyse Petersen of Tealet. His community is deeply involved with the movement, as are the majority of locals in Darjeeling. He offers valuable insight into this issue as he is pursuing a course in tea management and dreams of being a part of the future of Darjeeling Tea. Does tea play a role in your dream for a Gorkhaland? “Darjeeling Tea is our pride and our heritage … However, the tea plantations and factories in the region do not flourish or prosper to their full potential due to several reasons, one of them being, inequitable distribution of monetary resources. The revenue collected from Darjeeling tea does not return back to these sources where it is produced. Thus, there is not much monetary support to maintain the factories and the wages of the workers are very low compared to the wages of workers in other states of our country … Pensions do not even amount to 1000 rupees (~$15) per month and medical facilities that are mentioned in the documents are there for name sake, as there are no medical units or hospitals. Owing to these factors a number of factories in the region have been shut down. This has led to numerous unemployment resulting in deaths due to starvation as well as depression. How do you envision the future of Darjeeling’s tea industry? “We envision a future in which Tea industries are owned by the locals. With the ownership of these tea industries there will be no monopoly by the state government. The power will reside in the hands of the locals, the quality of tea produced will be enhanced, the workers in the industry will be more satisfied and receive a just payment which will be at par with the rest of the country and most importantly the industry will thrive and flourish. Also, within this change lies the fact that under the influence of the locals they themselves will name the price and hence the tea produced will be sold at fair prices. Out of the numerous tea estates in Darjeeling the buyers are aware that only of a few have created a huge brand for themselves. The other small estates remain unheard of even though they produce high quality Darjeeling Tea. Hence, under the purview of the locals these small industries will also get an opportunity to introduce their tea in the world market. Is it common for Gorkhas to have small tea gardens? Is it common for Gorkhas to be tea makers? There are numerous small gardens in the region owned by Gorkhas approximately accounting to more than 800. However, due to fact that all these gardens lack a manufacturing unit they are obliged to send their supply to the bigger tea estates. Tea making in this region is not a common profession. Tea making is viewed as a business rather than a profession due to the bigger tea industries. For the generation before us tea making might have been important and a profession but due to the fact that it offers little financial aid and lacks basic facilities people today do not consider it even as an option. However, for the rural people residing in the small villages this job opportunity would be the only source to maintain a living even though the wages that it provides would not be enough for a minimal standard of living. So, in this fast advancing world tea making is losing its pace in this region and a revival and restoration seems to be necessary. What is your biggest fear right now in regard to this conflict? My main cause of concern in this hour is the plight of the daily wage workers and the poverty stricken people. The daily wage workers earn a bare minimum per day making it nearly impossible for them and their families to get through the day. However, with the ongoing strike there is no work and hence no source of income. Yet, they remain in full support of the strike and demand and even participate in rallies. But the main question still remains how long can they continue without jobs? Even though people are helping each other there still remains a chance that somewhere people are suffering. There is at least one such example that we can point to of an independent tea garden and factory, Yanki Tea. Here, their mission is to “Promote Small Farmers, Socially and Economically”. With their own tea processing equipment, they need not rely on the larger farms for assistance and can market their own tea at their own prices. Will Darjeeling survive this new struggle? Could there be a viable tea industry for a separate Gorkhaland? Given the current state of things, it seems difficult to imagine. It would take a lot of work and an unlikely collaborative effort with the West Bengal government to make it a reality. What many supporters try to convey is that the way things used to be in Darjeeling will not be tolerated much longer. Something has to change in order for there to be progress and growth. And if things don’t change? Will the Gorkhas, after all of the fighting, protest, and a potential hunger strike simply give up and go back to working amidst poor conditions in the tea fields? Will the call for a separate Gorkhaland be squelched forever if they are unsuccessful this time around? That too seems difficult to imagine. * We’ve tried to look at this issue from different points of view, and report to you the facts as we have them. But we should keep in mind that anybody connected to this topic, including ourselves, has bias and potentially a lot to lose should the debate go one way or another. Also, for the purposes of transparency, I should note that two companies that are directly affected by this issue have sponsored World of Tea: currently, Vahdam Tea, and in the past Teabox (whom we talk to later in the article). That being said, they have not influenced this article in any way, shape, or form. ** Images property of Tealet. *** Title Image from I Love Darjeeling. A separate state is not the solution for it. Even if they attain separate statehood the problem will remain the same. As we already see Gorkha Hill Council, then GTA was formed. No change in the status quo. In all hilly area there is same problem. As we see in Kashmir, in Nagaland, Manipur. Due to feudal backlog, all these areas remained underdeveloped. Nepal is a free country, but underdeveloped. Whom you will blame. My my!!! It was because the Gorkha wanted to seize from the Chogyal (King) of Sikkim his kingdom and he invited the English East India Company (EIC) to help. EIC intervened. and the joint forces of EIC and the Chogyal forces defeated the Nepalese. Darjeeling,and Kalimpong (Kuseong included) was given by the Chogyal to the EIC and also agreed that the rest of Sikkim would be a protectorate of the EIC, almost the same stature as Nepal. Darjeeling, Kalimpong and Kurseong were Lepcha villages – mind you Lepcha not Gorkha. When the British stated the tea gardens The British did not like the the local people to be the tea workers so they ‘imported’ the Gorkhas to take their place. The Lepcha were outed and the land was full of Gorkhas. My mother was Nepali and she taught History in Motihari (Bihar) College and I am not biassed. The doubt of present day rulers, better say suppressors, Gorkhas may not / cannot govern the Gorkhaland efficiently is wrong. A very competent & efficient, crime free, organic, peaceful border State of Sikkim is ruled by these hard work dignified community Gorkhas. Rest the truth. Does anyone remember how a small group of Indians closed the border to Nepal last year, holding the country to ransom? Or the long and painful intimidation of the Moaists? Probably not. Nepalis deserve to be left in peace. Thank you for posting this. I am still not sure how much the actual tea industry is involved versus the government discrimination of the Gorkhas along with the past decade of inflation causing hard economic times to fall on the people. I can understand the desire for a separate Gorkha state, but I don’t see exactly how one can put blame on tea estates for the current situation, seems to be more a government issue. Perhaps I am wrong and this can be explained in greater detail. Thanks for addressing this as it is important and Darjeeling tea is so wonderful. Let me try to answer you in parts. Well, tea industry is not involved. hence, it is suffering. They are facing more issues than protests alone. People are protesting for their constitutional right than working in fields/offices. Yes, there is discrimination of people by govt especially state of west of which gorkhaland is a part of. The revenue shared with the territory is less than drawn from it. along with the past decade of inflation causing hard economic times to fall on the people. It is not inflation alone, it is coupled with fall in demand as soil is losing its midas muscatel touch. There is no organic farming in all estates and soil is not getting time to breathe. Certain tea estates have managed that and they are doing good but suffering at cost of other estates. Hence, lower wages by high cost of production and lower demand principle. I can understand the desire for a separate Gorkha state, but I don’t see exactly how one can put blame on tea estates for the current situation, seems to be more a government issue. Not just government, it is identity issue. Not just a decade but from a century now. Tea has suffered badly and the world will consume lower quality tea this year (If I assume, darjeeling tea is the best). Perhaps I am wrong and this can be explained in greater detail. Thanks for addressing this as it is important and Darjeeling tea is so wonderful. There are many issues that can be addressed and explained in detail and all elements of the situation and people’s concern. But now it is time to bring ecology in place and work on the plants again (the leaves haven’t been plucked for 35 days!) so we can have wonderful darjeeling tea next year again hopefully. Thank you for this informative article. I was thinking of visiting India see the tea growing areas but will hold off until things calm down.